With only a few more days until the Mobile World Congress begins in Barcelona, Spain, rumors are flying about which new phones, apps, and operating systems will be making an appearance. Will we finally see a Zune phone? Will HTC release another powerful Android phone? And what about Samsung’s new Bada OS? Regardless of what rumors become reality, I predict we’ll see a lot of powerhouse smartphones with some hefty specs–think Snapdragon processors, AMOLED displays, and high-megapixel cameras. 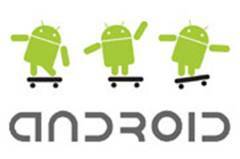 Oh, and I hope you’re not tired of Android yet: A barrage of Android phones will be at the show. Although many of the phones announced at MWC won’t arrive in the United States for many months (assuming they even make it to our shores), the show does set the tone for year to come in mobile and gives us a glimpse of the next generation of smartphone game-changers. What follows summarizes what’s already known–and what I want to see. Last year’s Mobile World Congress saw a lot of talk about Android, but only one handset announcement–the HTC Magic. Now that the platform has finally taken off, I expect quite a few Android phones will make an appearance at the show. Wireless market research company CCS Insight agrees: According the firm’s pre-MWC report, more than 50 Android devices will be on the show floor from a variety of manufacturers. Even if that number is a bit high, a lot of interesting Android offerings should debut. The Sony Ericsson X10 will run Android 1.6 OS at launch. Motorola is also holding an event on the first night of the conference to show off some new devices. Android-centric blogs speculate that one of them will be the Motorola Zeppelin, which runs Android 2.1 with MotoBlur, Motorola’s socially-connected user interface. Fuzzy photos of the Zeppelin have been caught in the wild, and the handset appears to have a large touchscreen (rumored to be 3.7-inches), no QWERTY keyboard, rounded corners, and front-facing and back-facing cameras for videoconferencing. HTC is likely to announce a whole pack of Android devices–at least according to a purported leak of a device roadmap. According to the roadmap, HTC is planning to release five Android devices in the first half of 2010. One of these rumored Android phones, the HTC Legend, is the successor to the Hero and will run Android 2.1 with HTC’s SenseUI interface. Another, the HTC Bravo, boasts 720p video capture, a 5-megapixel camera, Dolby sound, and DivX video support. Windows Mobile 7 and the Zune Phone–Finally? 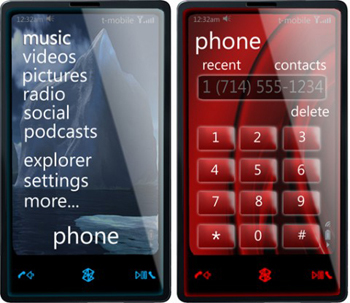 This concept of a Microsoft Pink phone is from Zunescene.com, a Web site dedicated to the Zune device. With Android’s growing popularity and the upcoming iPhone OS 4.0 launch this summer, it is highly likely that we’ll finally see the release of Windows Mobile 7. One intriguing rumor: Microsoft will release two versions of WinMo 7: business and media editions. The business edition will supposedly have live document collaboration and be built around Microsoft Office. The media version will purportedly support high-definition video, have social media integration, and feature Mediaroom 2.0 with live TV streaming. The OS is also rumored to have a Zune-like media player that will replace the dull-as-dirt Windows Mobile media player. Speaking of the Zune, could we possibly see a Zune Phone at the show? Rumors of a Microsoft-branded phone with Zune HD-like hardware have been circulating for a while now. If Windows Mobile 7 does launch, wouldn’t it make sense for Microsoft to release a flagship phone running that operating system? On the other hand, this rumor has been so long in the making that it is really hard to predict whether such a phone will indeed roll out. Samsung announced its Bada mobile platform back in December, but we have yet to see any phones running it. The rumor circuit says Samsung will unveil a phone that not only runs the Bada OS, but has a touchscreen with a new display technology called Super AMOLED, which is reported to be five times clearer than regular AMOLED and to offer 20 percent better visibility when used outdoors. AMOLED displays tend to completely fade in direct sunlight, so I’m eager to see how much the new Super AMOLED improves this issue. Back to Bada: Not a whole lot is known about Samsung’s smartphone platform other than the fact that it promises to bring apps to inexpensive smartphones. Samsung says Bada means a “smartphone for everyone.” Given its stated goal, Samsung is sure to release a slew of developer tools alongside the phone launch to get the OS off the ground. No Nokia, But More Maemo? Nokia won’t be at the MWC, but that doesn’t mean the company won’t be making any announcements. I’m hoping to see more phones running Nokia’s Linux-based Maemo platform. The Nokia N900, the first Maemo phone, delivered fast performance and excellent Web browsing, but the interface needed some refining. Perhaps it is wishful thinking, but I’d like to see at least one more Maemo phone–or at least some updates to the platform–at MWC. LG will likely announce a slew of touchscreen smartphones and feature phones, but the handset I’m most excited about is the Arena Max (also known as the LU9400). The rumors credit this super phone with having a Qualcomm Snapdragon processor (like the Nexus One), a 5-megapixel camera, and a 3.5-inch touchscreen, plus support for Wi-Fi, GPS, and Bluetooth. Does this mean that Snapdragon processors will become the norm for all smartphones? One can only hope. Because Palm just announced the Pre Plus and Pixi Plus last month at CES, it is doubtful we will see any more webOS handset announcements at MWC. However, according to Engadget, WebOS 1.4 will be rolled out to all Pre, Pre Plus, Pixi, and Pixi Plus owners next Monday. WebOS 4.1 adds a touch-friendly video capture and editing app, calendar and messaging enhancements, and some tweaks to battery life and usability. It is also possible that Palm will announce some new European carrier partners or perhaps GSM versions of the Pre and Pixi Plus. Palm Pre and Pre Plus owners may also get Adobe Flash Player 10.1 next week (sorry, Pixi and Pixi owners–no Flash for you). According to Adobe’s corporate blog, the company will be demoing Flash Player 10.1 on WebOS and Android devices at the show. It is likely that they will also be announcing a date for availability of the player on both platforms. Flash Player 10.1 enables all Adobe Flash content to be accessible on smartphones. This means that you’ll be able to play Flash-based games and view Flash-based videos and Web sites. And yes, that includes YouTube. Check back next week for up-to-the-minute blogs, stories, photos, and video from the world’s largest mobile electronics show.